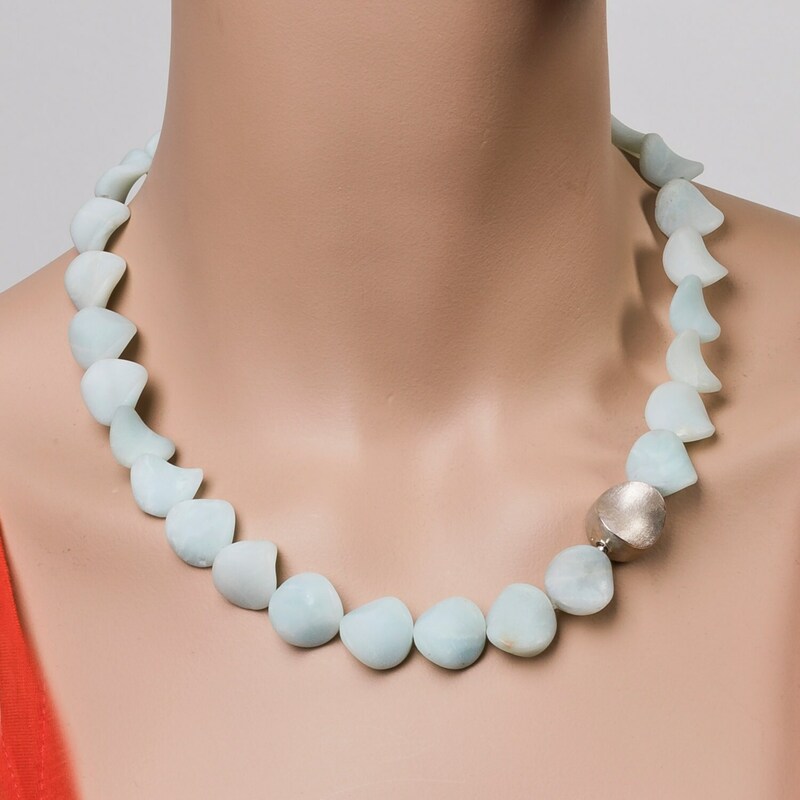 Chain, 925/000 Silver, amazonite, matted surface. 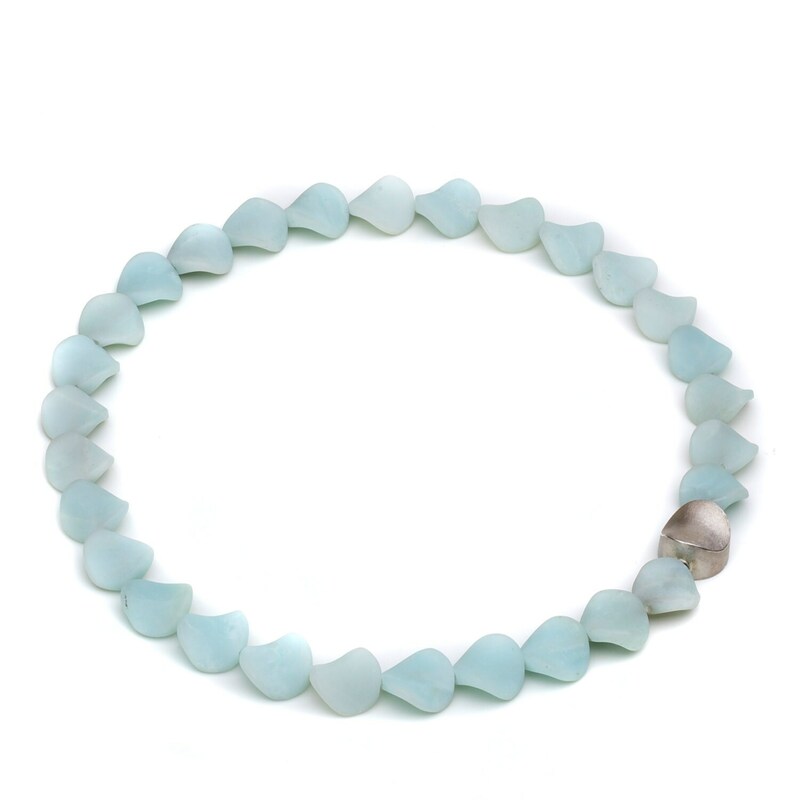 ... on this necklace made of amazonite and sterling silver. The chain safely closes in the silver ornamental element, which is to be worn on the front or the side like an amulet and fits beautifully into the petals. The surfaces are matted. The individual elements have a diameter of approx. 16 mm. The shipping by UPS takes place at the price €7 within Germany, or €20 abroad. Shipping within Europe lasts about 2-3 days. If you would like a cheaper version with a different shipping provider, please let me know.